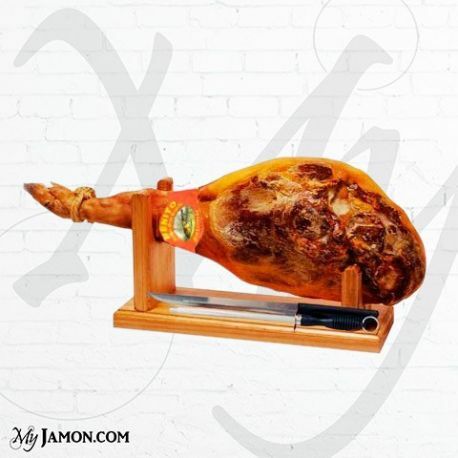 Gran Reserva Serrano ham 7 kg approx. Knife, sharpening steel and ham clamp included. 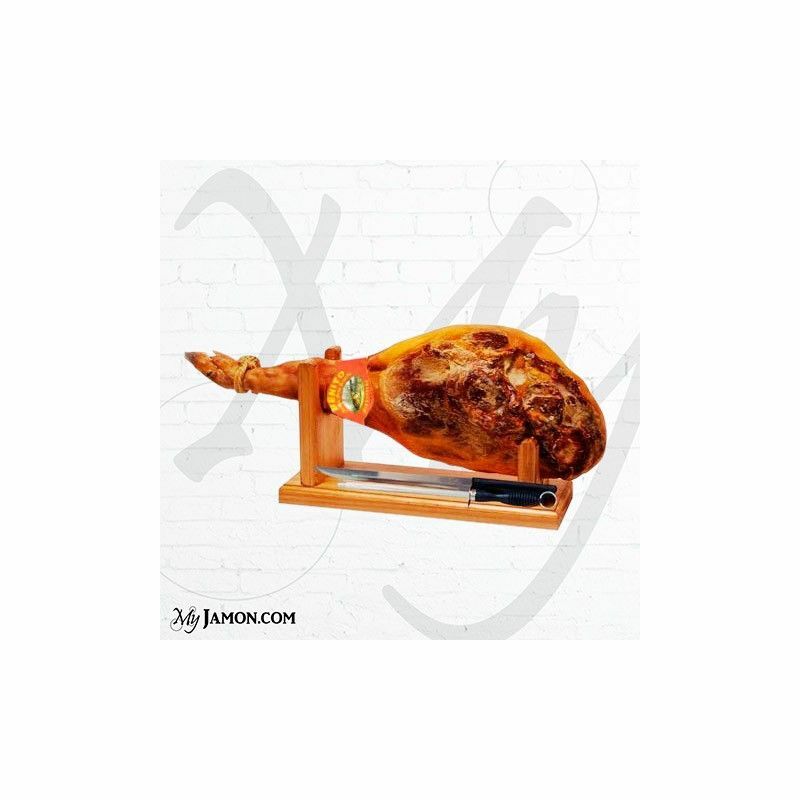 The Gran Reserva Serrano ham comes from white pigs fed barley, wheat, with a seasonal outdoor, after that they remain in the dryer for more than 15 months, where they reach their salty taste and highest quality. Its main feature is its intense flavor and little fat percentage. Knife to cut the ham, sharpening steel and ham clamp are included in the price.